It amazes me how much school has changed since I graduated. One change is the Cornell Notes system. 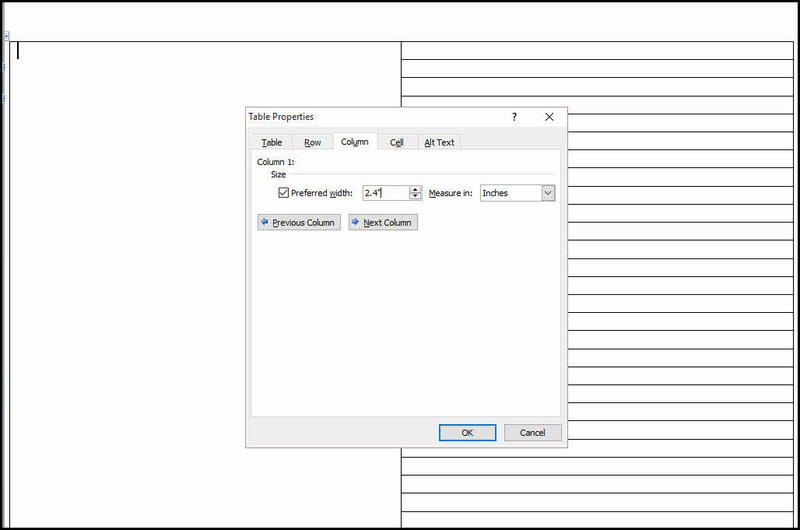 This article shows you how to create a Cornell Notes template using Microsoft Word. The nice thing about learning how to create a template is you can tweak it to your style. The template also works with Google Docs. And if you’d rather spend more time studying, you can download the premade template or PDF template in the Additional Resources section. Feel free to jump ahead to any section by clicking a link below. If you’re not familiar with Cornell Notes and the benefits, then take 5 minutes to watch this video presented by a biology teacher. I think it does a nice job of summarizing the note-taking technique. This technique is equally effective outside the physical classroom. For example, it works equally well if you’re doing an online class or perhaps attending a conference. The concept is to take notes in a structured way using a suggested layout that facilitates learning. Each of the designated areas has a specific purpose that is used at the time you take the notes as well as when you review. However, it’s not so structured that you can’t personalize it. Word templates are a special type of file designed for reuse. Templates provide the structure and more items such as auto text entries and macros. They are the basis by which Word documents are created whether it’s a new document or a sales letter. 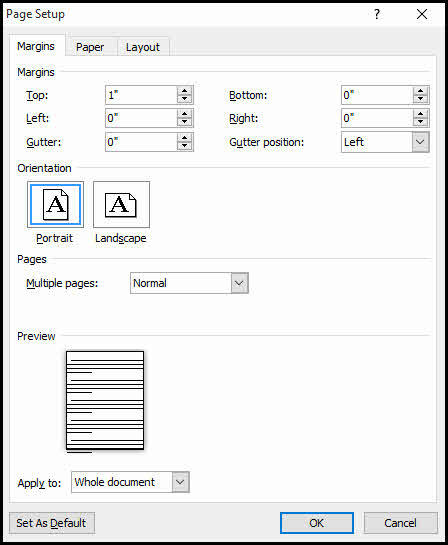 In fact, Word starts by opening a blank page based on an autostart macro in the normal.dotm template. Microsoft comes with many pre-built templates and groups them by function. You may have other templates that add-in tools or programs have created. You see this interface when you select File | New. You’ll see a listing of your available templates on the top row. There are actually 2 templates attached to this article. This ruled template was designed to be very simple. You can either use it as the source for new documents or print out copies. I intentionally kept the document as black and white even though I’ve seen newer templates with color background areas. While color has its benefits, it can be costly if you need to print these out. In addition, I kept the top section blank instead of putting specific fields for the class, teacher etc. This generic approach allows you to use it for other learning scenarios like conferences. Although the template was designed in Microsoft Word, you can use it in Google Docs. The template also has X’s in the Cue Column. This was a request for people who wanted to punch holes. You can delete those if you don’t need them. This is the same design as the Word template. However, it’s not meant to be an interactive PDF file so it’s best used for making printed copies. Some printers prefer the PDF file format. Depending on your preferences, some people like to have the note-taking area (2) lined like notepaper. For our template, we’ll add the lines. Click Custom Margins… from the bottom of the drop down. In the Page Setup dialog enter 0 for Bottom, Left and Right margins. For Top, use 1″. Press your Enter key once. Press Enter again if you want to add leading text where you can write in class name, topic, etc. From the Insert tab, select Table. On the Insert Table dialog, enter 2 for columns and 34 for rows. Click OK. You should now see your table. Right-click in any table cell in column 1. From the menu, click Select and then Column. This should turn column 1 a different shade. Note: In Word 2016, you need to click just above column 1. You’ll see a small arrow appear. 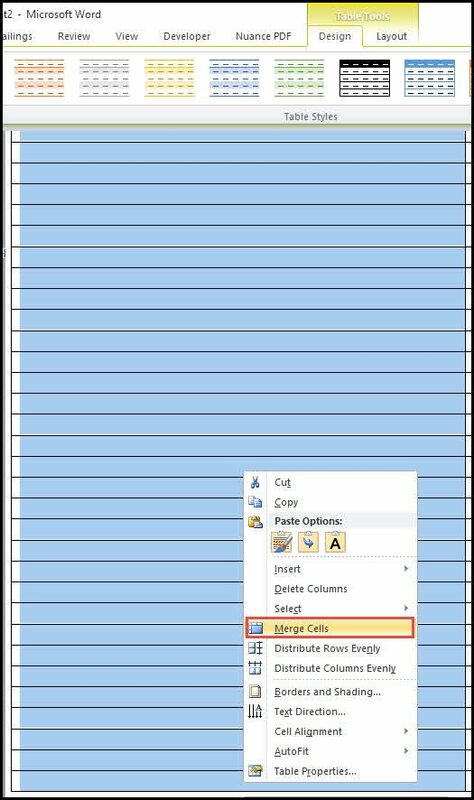 Right-click again and select Merge Cells. You should now have two equal-width table columns. The first column will not have any lines. In the initial example, you can see that the two columns are differing widths, so we need to define those. You may also adjust the column widths and row height to your desired settings. Click the Column tab, and enter 2.4 for the Preferred width. Click the Next Column button >>. Enter 6.0 for Column 2 Preferred width. Click the check box for Specify height and type 0.25. In the Row height is field, select Exactly. 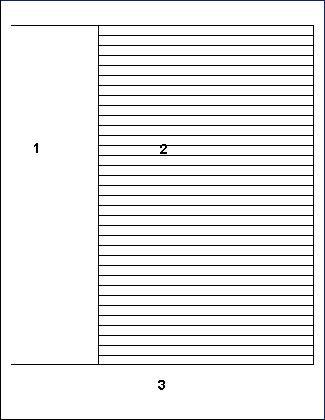 If you go to Print Preview, you will see the cell lines in the Cue column (1) do not display and you have a summary area (3) at the bottom. I intentionally added 1″ before the table as it makes it easier if you need to adjust the position or add a description. At this stage, you can change the dimensions to meet your needs. The Microsoft Community has several posts on template locations. 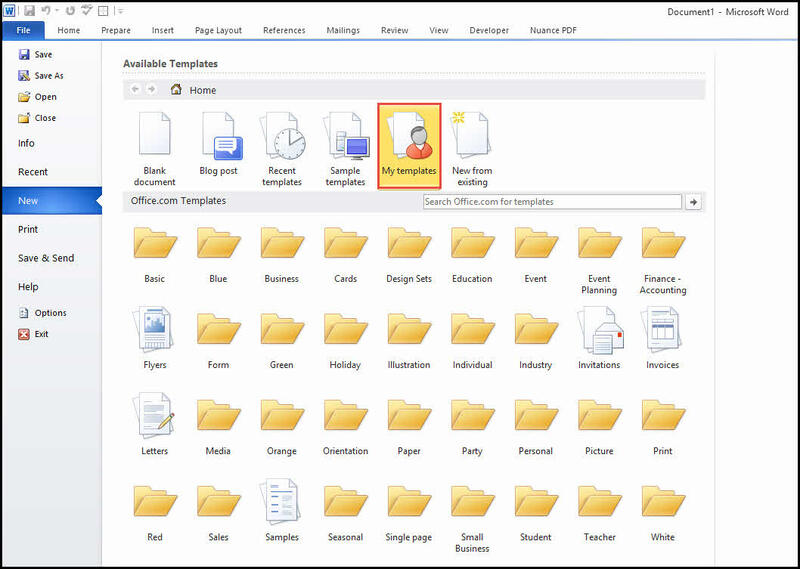 Alternatively, you can right-click on an existing icon in your My Templates area and look at the file location. At the bottom of the dialog, type Cornell Notes as your File name. Change the Save as type to Document Template (*.dotx). Click the icon for My Templates on the top row. Click the Cornell Note template. Your document will open, and you can make further changes. For example, some people may want to adjust the top area to type class name and date. That’s why I added the paragraph break before the table. Other people put their name in case the notes are lost. Finally, print out how many copies you’ll need and head to class. Although I built this template with Microsoft Word, you can use it with Google Docs. This works on the free version as well as the paid one. You might want to create a folder to put your template files. The paid version allows you to create private templates. Download the template from the Additional Resources section. Click the + icon for a Blank document. Click Upload from the top menu. 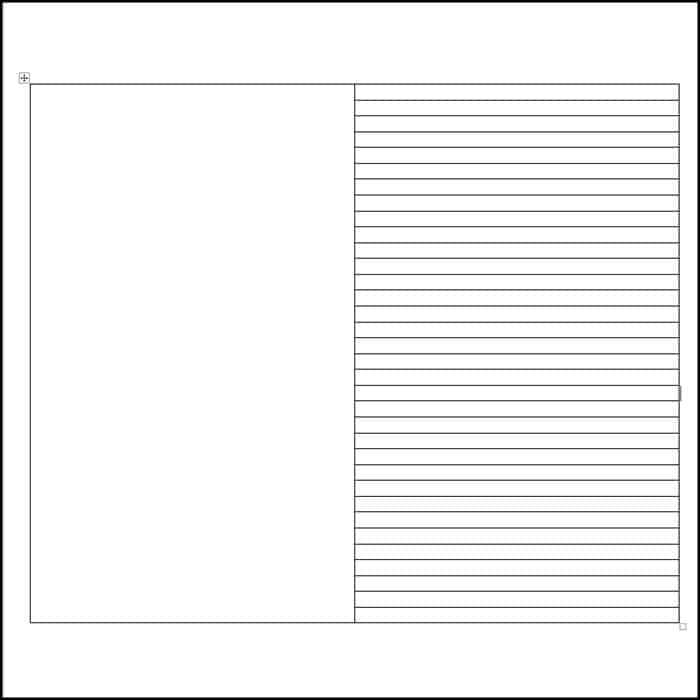 Drag the template into the Open a file window or select the file on your computer. From the File menu, select Make a copy. You now have 2 copies of the file and can use one as the source the next time it is needed. When I wrote this article in 2005, the technology was a lot different and no one made Cornwell Notes paper. Levenger made something that was close but didn’t have the Summary section. Since then, a number of vendors have popped up. These are notebooks specifically designed for Cornell Notes. You can see an example from Amazon below. The notebooks also come in different sizes.